December 26th is National Candy Cane Day! 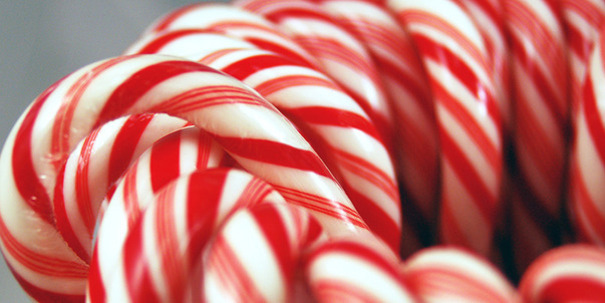 The candy cane was originally a straight stick. It was not until the mid 1900’s that candy canes with red stripes appeared in Sweden. The curvy shape of the candy cane is credited to a choirmaster who worked at the Cologne Cathedral in Germany. It is believed that he bent the peppermint sticks to look like the canes that shepherd’s used. Other sources credit the bending of the candy maker in Indiana. It is rumored that he also decided to added three red stripes to the candy cane which were meant to represent the Holy Trinity. Some people believe that the reason the peppermint sticks were bent into their curvy shape was so that they could look like a “J,” for Jesus. 1792 Charles Babbage was born. He invented the adding machine, and among his other inventions is the cowcatcher, the V shaped front end on locomotives. 1850 Territorial Governor Alexander Ramsey declares Minnesota’s first Thanksgiving Day. 1865 James H. Mason received the first U.S. patent for a coffee percolator. 1903 Elisha Cook Jr. was born. A well known character actor in films and TV. I remember him most as Wilmer, in the ‘Maltese Falcon’. 1931 Melvil Dewey died. He created the Dewey Decimal Classification system for cataloging library books. 1982 The ‘Time’ magazine Man of the Year was the personal computer. 2004 A massive earthquake near Sumatra caused a tsunami that swept across the Indian Ocean from Indonesia to Africa. It was one of the worst natural disasters in modern history. Over 220,000 died, and millions were left homeless.